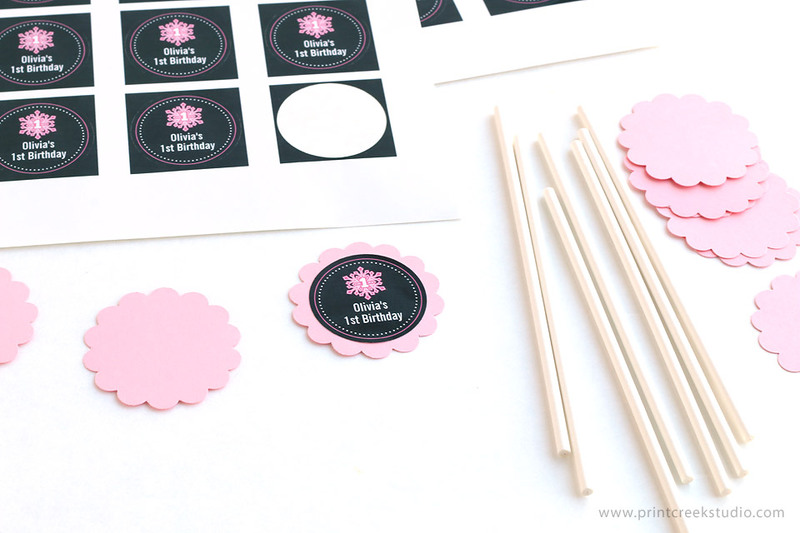 Cupcake toppers are a great way to add a personalized touch to your party decorations. Save time and hassle by using professionally printed stickers. 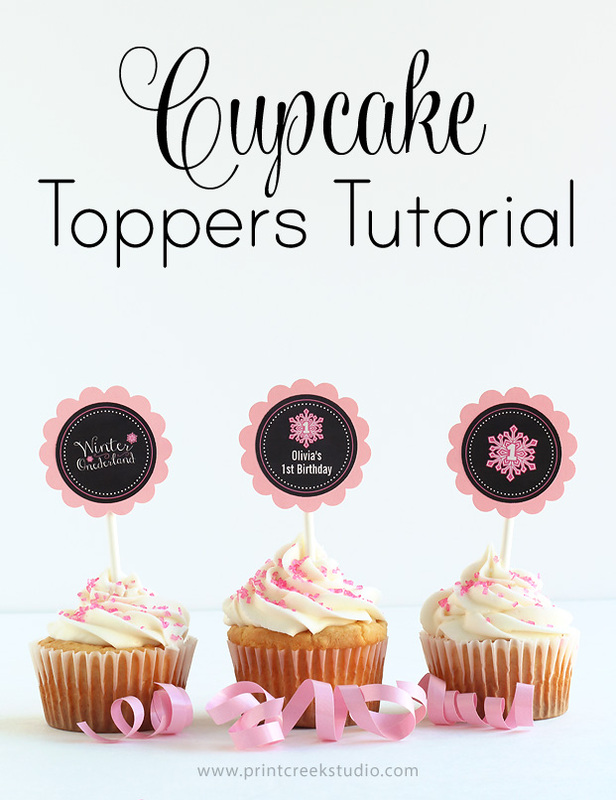 Follow this tutorial for simple steps on how to easily create fantastic looking DIY cupcake toppers. 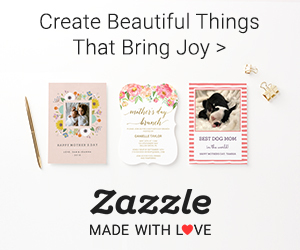 Order custom round stickers from Zazzle.com that match your party theme. The sized used in this tutorial are the small 1.5 inch round stickers (20 per sheet). Select a coordinating card stock paper and use a 2-inch paper punch to create the back for your cupcake topper sticker. You can find paper punches online or at your local craft store. 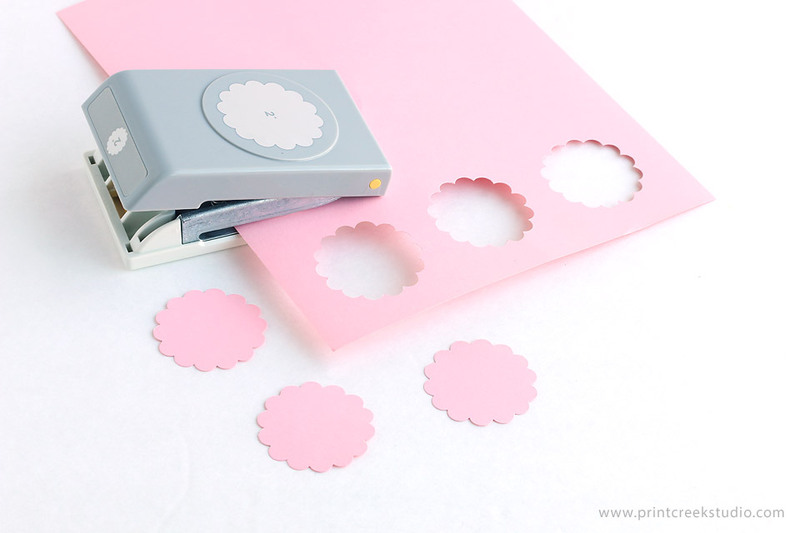 If you don’t have a paper punch, you can cut out circles using scissors. Peel a sticker off of your sticker sheet, and carefully place the sticker onto a paper punch circle. 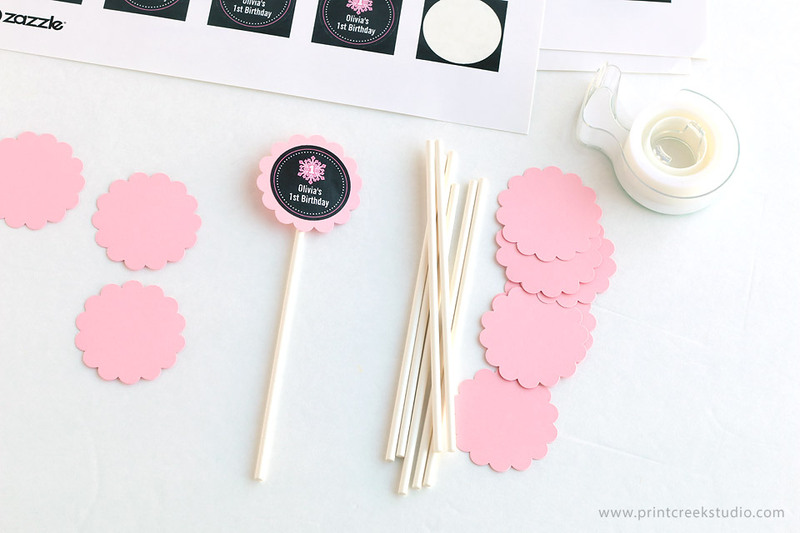 Place a piece of tape on the back of the cupcake toppers to stick them to the lollipop sticks. Once your cupcake toppers are assembled, stick them into your cupcakes and enjoy! 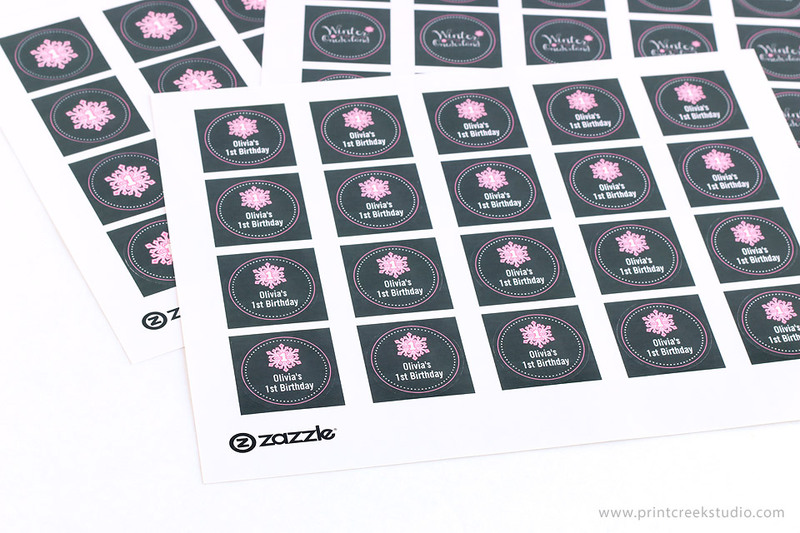 Need help finding the perfect sticker design for your cupcake toppers? Contact us and we can help you find the perfect design or create something just for you. We also have matching party collections that include invitations, rsvp cards, stickers, banners, gift tags and more.